Renault has taken the covers off the fifth generation Clio. Pictures of the Clio V were revealed at the end of January, but the 2019 Geneva Motor Show marks the model’s public debut before sales begin in the autumn. 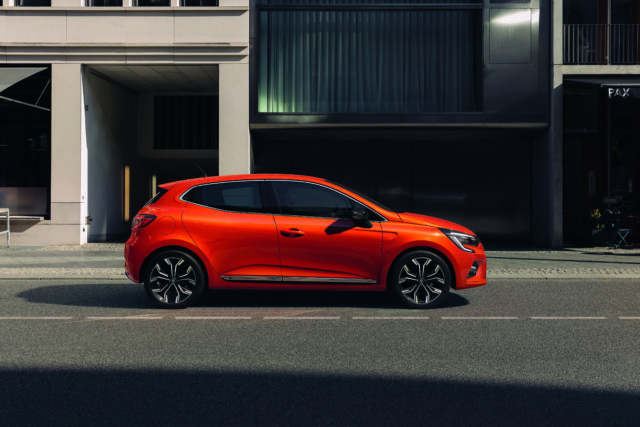 Inspired by the previous four iterations of the supermini, the new Clio comes with largely similar exterior styling to its predecessor, but features new c-shaped LED headlights, a larger grille and new taillights, as well as hidden rear door handles integrated into the windows. But the interior is where Renault’s made the most changes, as it has given the supermini two large displays. The 9.3-inch portrait infotainment screen comes with the all-new Easy Link system, while the TFT instrument panel measures seven inches as standard – with a 10-inch screen also offered as an optional extra. The dashboard is also offered with more personalisation options than before, allowing customers to express themselves better. 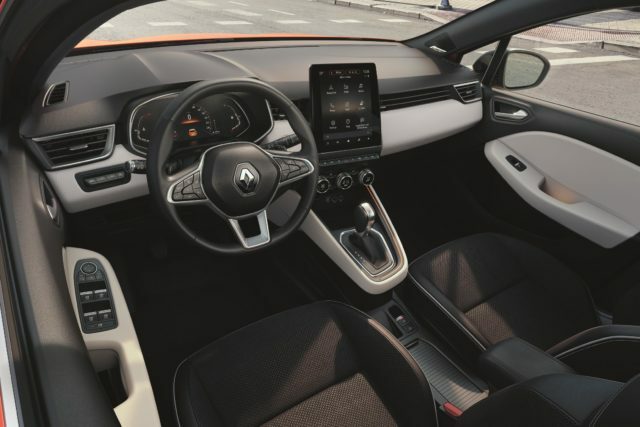 New seats have also been designed to provide a better view to the rear, while the centre console has been raised – meaning Renault can fit a shorter gear lever. Based on Groupe Renault’s new CMF-B platform, the Clio is 14mm shorter than before but actually offers more interior storage space – as the boot space has grown from 300 litres on the previous generation to 391 litres on the Clio V.
Renault has also added a new range-topping trim – R.S. Line – which is inspired by the Renault Sport brand and replaces the former GT-Line. This new specification will feature 17-inch alloy wheels, racy interior features and a honeycomb grille to fit in with previous R.S models. The engine line-up is yet to be revealed, but Renault has confirmed the Clio will be the first model to be fitted with the E-Tech hybrid powertrain. Expect a series of low capacity petrol engines to complete the range. Prices are expected to be announced closer to the Clio’s sale date in Q3 of 2019. The Clio V will be on display to the public from March 7 to 17.